Dimensional changes caused by temperature and room climate changes Multilayer modular floorcoverings respond to temperature and humidity changes with dimensional changes. In conservatories or equivalent rooms with floor-to-ceiling and large overhead glazing, high temperatures may lead to a change of material properties, e.g. expansion behavior and higher flexibility. Therefore it is essential to follow the manufacturer’s specifications and recommendations. Direct sunlight or strong artificial light over a long period of time can potentially lead to changes in the colour of the floor covering. Adequate screening can protect the MMF surface against premature fading. 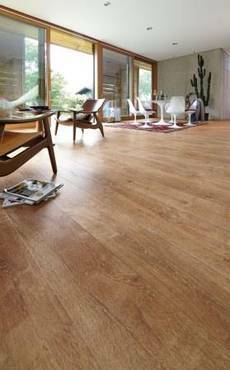 The protection of the MMF flooring against UV light means maintaining value! And: Never use excessive force when joining boards!